Talinka is a musical attempt to defy the boundaries between styles and genres. It is where folk, early music, jazz and tango merge into simplicity, harmony and warmth. Tali Atzmon had a starry career as actress and singer in Israel until she became a mother. Since then freelance photography and filmmaking have given her time to bring up her family and retain an involvement in the arts. 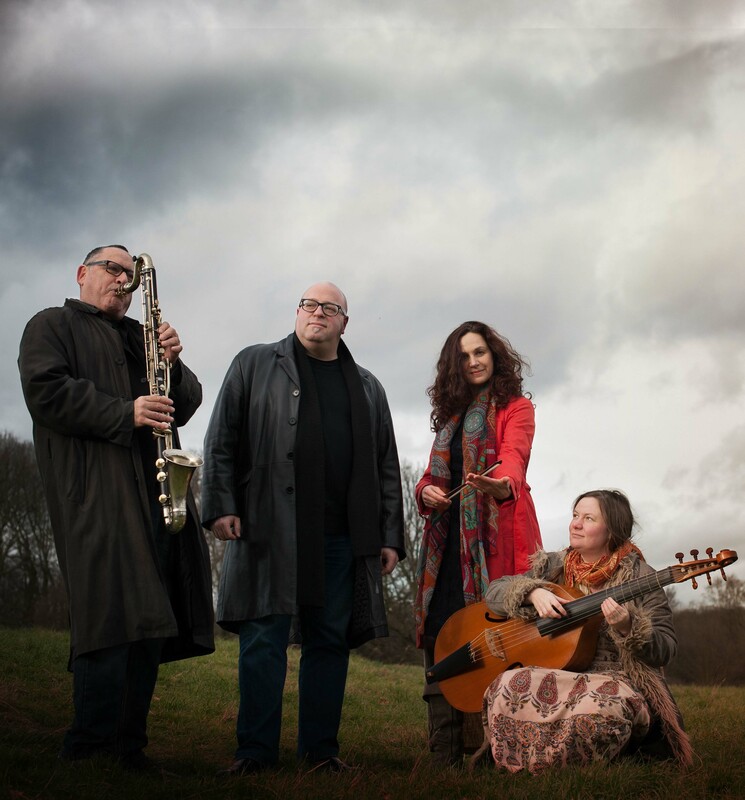 Now she is returning to the stage with an unusual band which gives her and Gilad Atzmon an opportunity to explore areas of music-making distinct from what we might normally associate with Gilad. He has, however, arranged the music, produced the album and added a very individual baroque musician to the group to give it a distinctive sound. The band includes the sensually warm and velvety sound of vocalist Tali Atzmon. The mesmerising and globally renowned Yaron Stavi on Double Bass. The uniquely gifted multi- instrumentalist Jenny Bliss Bennett on Viola De Gamba, Violin, flute and voice. The internationally acclaimed and multi-talented Gilad atzmon on Bass Clarinet, Accordion and Soprano Sax. 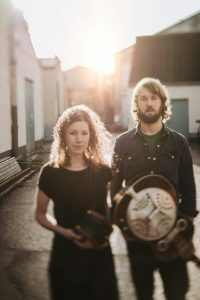 Harbottle & Jonas are a stunning young folk duo based in Totnes, Devon. Their music is eclectic and always accompanied with a great story. Together the husband and wife duo combine the rich traditions of folk music with original and contemporary interpretations through a blend of closely intertwined vocal harmonies and compelling and authentic musical arrangements, blending concertina, harmonium, banjo, stomp box, acoustic guitar and dobra.